OMG I've been wanting this bag for a while now as well, but too bad it's definitely out of my price range... But you know, Tory Burch's Robinson collection has a very similar bag and Zara also has one in black without the logo!! you should definitely check it out! This is very pretty. I want to get it now. Hi Annie!! I sent you an e-mail yesterday. I recommended you a book (in the style of The Secret) that would be perfect for you in my few. Its called "Stairway to heaven" from Lorna Byrne. Annie, check out outlet malls. They don't always have the newest collections, yet the brands they sell are much cheaper. My mom bought a Prada bag for approx. 500 euros last year. not bad. WOW! 500 EUROS! Where from? Gorgeous bag! :) The Tory Burch is very similar and a great option for less. Beautiful bag ! Perfume collection PLEAAAASEEE !!! 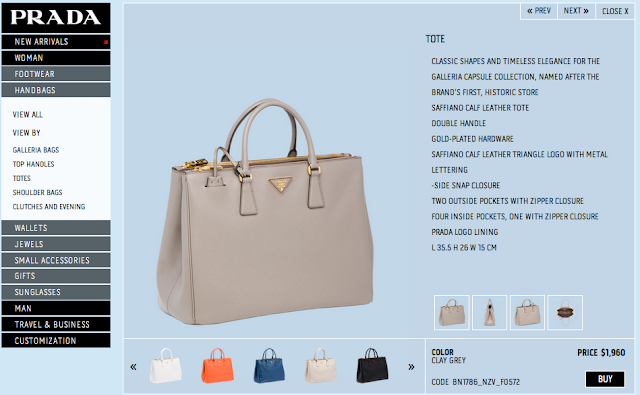 perfect bag, but sooo expensive :( ! I am in love with the bag and the shoes! Annie, I think you just gave me a gray crave for fall and winter!!! I also wanted to ask you, what camera do you use for filming? Have an amazing day! Excellent choice Annie!! You are so tasteful!! Plz make more winter fashion videos. Looking forward for your next purchases. Kisses from Greece. I have that bag but in black & it's WORTH EVERY PENNY! It's so chic and elegant. You can never go wrong with it. I've had mine for about 2yrs now and I use it pretty much every day and it still looks brand new. HIII! My name is Alejandra and I am form Argentina. I love your blog and videos! I watch them all the time. You should try to make a homemade lotion of green tea with lemon to clean out acne and pimples. where are those shoes from??? soooo gorgeous!! perfume collection is a nice idea! Where is the post about ya favourite excersizes? I love this bag - color, shape - everything! It would be lovely if you visited my blog and let me know what you think. Would mean the world to me! I just found this Tory Burch Bag which looks like the Prada you like.